Karl Lagerfeld has been a fan of musician Pharrell Williams ever since tapping him to appear in a short film for Chanel, alongside Cara Delevingne. Since then, he’s appeared in several Chanel campaigns, including last year’s Gabrielle handbag ad. Now, it seems a collaboration between the two is imminent. The front row wear this time? It’s not the first collaboration for Chanel and Pharrell; back in 2017, they partnered with Adidas, resulting in Chanel x Pharrell x adidas NMD Human Race sneakers. 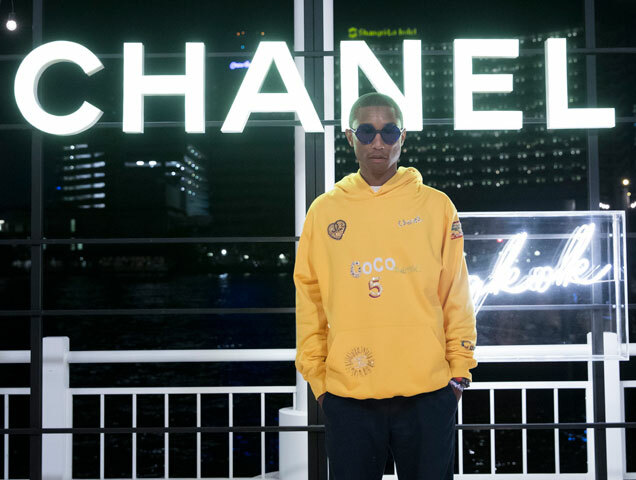 According to WWD, the new Chanel and Pharrell ready-to-wear and accessories capsule will debut exclusively on March 29 at the new Chanel Seoul flagship boutique, followed by select Chanel boutiques around the world from April 4.